One of the most basic accessories for the iPhone, that is owned by almost every iPhone user, is a pair of iPhone headphones. Until not long ago, many types of third party headphones couldn’t be used with the iPhone. However, this situation is now fortunately over and thus the iPhone owners now have a much longer list of available headphones to choose from for their iPhones. Depending on your personal preferences and taste, and the main activities you plan to use your headphones for the most time, the best choice for you might vary greatly. But the most important thing to ensure when choosing a pair of headphones for your iPhone, as it’s been already mentioned, is whether they are compatible with the iPhone – especially regarding the jack connector. Another criteria you might be interested in is the feature of switching between calls using the headphones. Some models need a separate adapter to do this which will cost you about $50 more. Another feature to consider when planning the purchase of a set of iPhone headphones would be checking whether there is a built in microphone in case you plan to make and receive calls with it and not just use them for media purposes. Its sound quality is also an important matter to consider. The pair of headphones bundled with the iPhone have a decent sound quality, however they perform very poor when it comes to blocking the ambient sound, so when you are making the purchase of a separate set of headphones, you have to keep in mind that criteria as well. After narrowing down the number of possible choices to a few, you have to make the final decision according to your personal taste as to which style of iPhone headphones you prefer wearing, whether you like the over the ear solution or you are more in favor of in ear headphones. My personal opinion is that although the over the ear style may sometimes be slightly uncomfortable, they block the ambient sound much better, and I find it that they often provide a better sound quality with a more powerful bass. After purchasing your new pair of iPhone headphones, you will have to deal with the maintenance of it. 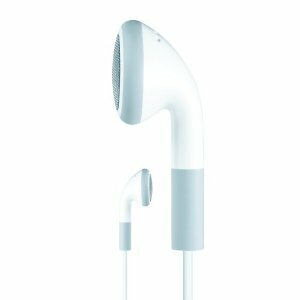 In the ear style headphones need a bit more attention, since the ear buds often have to be replaced. This is also in favor of the user’s comfort. It is a common issue with the behind the ear, or over the ear style headphones that the plastic frame becomes bent or snapped, but most iPhone accessory stores have replacements in stock for this instance.